A perfect marketing place for start-ups & inspiration for starters. We know what it takes to start-up hence we support those that do. SiGMA Show shares with iU eMagazine readers of what they could expect from the 2017 edition of this Summit happening in Malta in November. You might be the one of them to win one of their 1000 Free Flights this year! 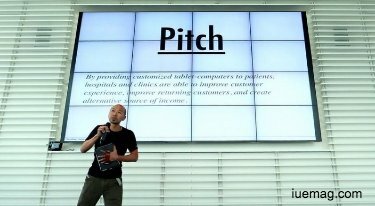 Read the latest update on their StartUp Pitch here. This November, SiGMA will have the pleasure of hosting Malta’s largest gaming exhibition and 2017 takes the cake as the biggest one yet. Eleven conferences and a large sold out floor plan are bringing a multitude of people this year so expect a crowd at the Malta Fairs and Conventions Centre from the 22nd-25th of November. Main executives and exhibitors showcasing here will include of Mr. Green, Blexr, Bet365, William Hill, Better Collective, Poker Stars, Catena Media, Malta Gaming Authority, Cherry, Microgaming, XLMedia, Ladbrokes, and many, many more. Amongst the lavish networking dinners and appealing conferences that will be taking place throughout the week, an exciting startup pitch will be drawing eyes and attention for the second year in a row. After a successful first run in 2016, SiGMA’17 is coming back with sixty startups and several investors all under one roof. All sixty startups will be awarded with a booth at SiGMA, invitations to networking events, SiGMA PR, free office space to use at SiGMA’s Gaming Hub, as well as free consultancy and potential leads from leading industry veterans. However, only ten of these innovative startups will have the chance to present their pitch to a panel of investors. In a Dragon’s Den-like environment, each startup will have three minutes to present their project. Following the pitch, a Q&A session will allow the investors and the audience to get involved. Of the investors, Morten Klein Founder and Chairman of Klein Group will be sharing his intelligence as “one of the 50 most significant people in the world within the gambling industry.” Klein Group consists of a group of companies with different investments within the iGaming industry, e-commerce, real estate and venture companies. Another significant mind, present at the Startup Pitch will be Carla Maree Vella, CEO/COO of Optimizer Invest. With ten years of experience in online marketing and five years in iGaming, Vella’s entrepreneurial drive serves her well and her opinion will be strongly valued on the investor panel. Another businesswoman on the panel of investors will be American entrepreneur, Julie Meyer. Meyer is the Founder and CEO of Ariadne Capital as well as Managing Partner at the Ariadne Capital Entrepreneurs (ACE) Fund, Ariadne Ecosystem Economics™ Fund and the Founder of EntrepreneurCountry. In addition, we will have the pleasure of seeing innovator, Mark Blandford, considered by many to be one of the founders of the developed online gaming industry. Blandford was the owner of a betting shop chain when the Internet began proving its potential. In 1998, he launched his first interactive betting service from Alderney and was one of the first to see the significance and growth potential in online gaming. Entrepreneur, Robin Reed, has a real heart for startups and will take a place on the investor panel at SiGMA this year. Together with Frode Fagerli, Reed founded Gaming Innovation Group (GIG) in 2008. As a rapidly growing technology business, the Group offers cutting-edge Cloud based services and Performance Marketing through its three B2B products. Another investor, Simon Collins, is Founder of both Gaming Realms and Cashcade Ltd. and will be scrutinizing the startups at this year’s lineup. Gaming Realms is a bingo based consumer preposition, which publishes and licenses next-generation mobile gaming content. Similarly, Cashcade Ltd is an online bingo focused gaming business. Roger Walker, a Partner with Partis Solutions, provides direct support to board execs and corporate development teams from some of the largest gaming industry operators and investors and will be offering his support to the lucky ten startups this year. Walker’s clients range from publically listed £multi-billion operators and B2B suppliers, investment banks, private equity/venture capital houses to smaller private firms and early stage entrepreneurial start-ups. Industry expert, Ory Weihs will have a seat on the panel as one of the investors analyzing the startups at SiGMA. As one of the Founders and the CEO of XLMedia Group, he is responsible for business development and strategy, focusing on technical abilities and expanding the Group’s reach. Rickard Vikström, Founder and Chairman of Polarbear Group, works with sales and product development and will also be critiquing in this year’s Startup Pitch. Vikström is no stranger to starting a company as he has founded and sold several in the last decade. He will be a strong force in the panel of investors this year. There is still time to get your foot in the door if you wish to attend. For more information on the show or to book your tickets, please log in to www.maltaigamingsummit.com or send an email to info@sigma.com.mt. 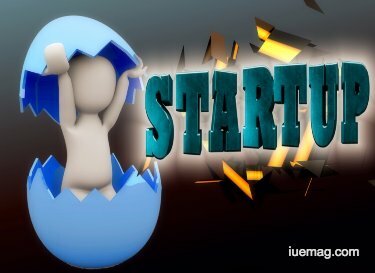 Are you a startup? Seeking mentors and investors? Download the application today! Any facts, figures or references stated here are made by the author & don't reflect the endorsement of iU at all times unless otherwise drafted by official staff at iU. This article was first published here on 4th October 2017.